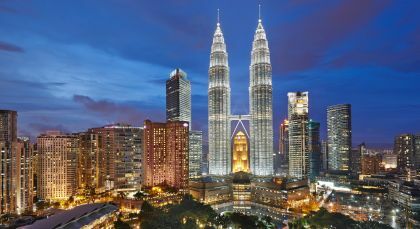 Combine your Malaysia tour with a delightful Singapore sojourn. With a vibrant melting pot of culture, heritage, cuisine and natural beauty, and unique experiences curated by our destination experts, there are charming surprises awaiting you around every corner. 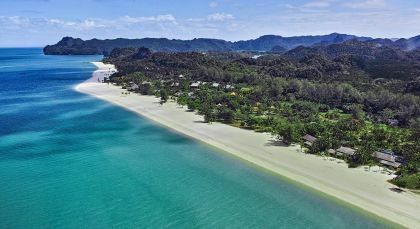 End your private Southeast Asia vacation with some sun and sand at Langkawi’s gorgeous beaches. 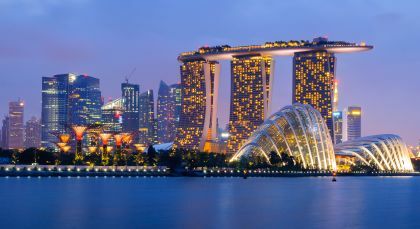 Explore the national monuments and institutions of Singapore on this day tour to better understand the history and culture of this fascinating city. You can begin your day by visiting the iconic National Gallery Singapore. This former Supreme Court and City Hall, is today home to over 8,000 pieces of art! Amble through its sun-lit hallways, taking in its intricate architectural details along with the priceless works of art all around you. Walk down to The Arts House, which was built in the late 1820s. This national building has been witness to the birth of Singapore and its gradual journey towards a democracy. Following a delicious luncheon of your choice, stroll over to the Victoria Theatre and Victoria Concert Hall, which have been cultural landmarks for more than 150 years, continuing to support the arts to this day. Drop by the Singapore Flyer for a better understanding of the origins of this lovely city with an engaging multi-media display of the Singapore Story. As you drink in panoramic views of Singapore aboard the Flyer, sip on classic mocktails like Singapore Sling that also define it! 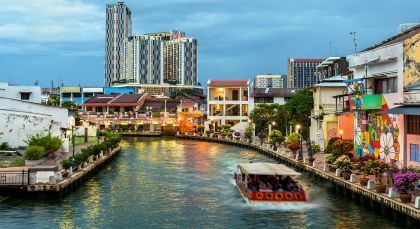 Malacca offers oodles of medieval charm, delicious cuisine, a cosmopolitan crowd and quaint alleyways lined with picturesque buildings! Taman Negara National Park translates simply as ‘national park’ in Malay! 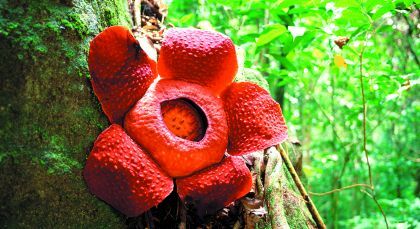 This is perhaps the most popular rainforest within Malaysia, and among the best preserved in all of Southeast Asia. Day 1: Take an unforgettable trip to the Malaysia’s famed tropical rainforest – Taman Negara. You can spend your day relaxing in the lap of nature and exploring the lush surroundings of your resort. In the evening, savor a delicious dinner and watch an enlightening video about this historical park. You may just spot some nocturnal species on your night walk through the jungle. Day 2: After breakfast, set out in the morning to the world’s longest canopy walkway. This suspended bridge is the perfect vantage point for wildlife watching. Take a trek up to Teresek Hill through the scenic route of gushing river, towering trees and vibrant birdlife. The view from the top is an absolute delight of sweeping hills and valleys of this tropical paradise. After a scrumptious lunch, travel onward to Lata Berkoh cascades on a peaceful boat ride. Spend the afternoon enjoying the lively rapids and soaking in the atmosphere at Taman Negara. Day 3: After breakfast, it is time to check out and return to civilization. 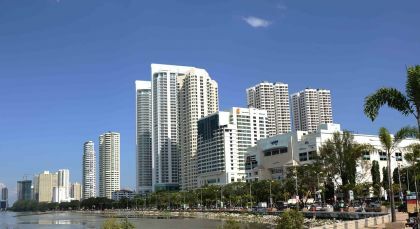 Experience the distinctive charm of Penang Island on this all day tour. Enjoy a cable train ride along the picturesque cliff up Penang Hill. Start off from the iconic Malay-Chinese shrine, Kek Lok Si Temple, the oldest Buddhist temple in the country, and climb right up to the statue of the Goddess of Mercy. Pass beautiful gardens and local settlements on the charming train ride. Drop by typical fishing and other traditional Malay villages as you wind your way along the hill, discovering everyday life on this island. You may also visit a traditional Snake Temple and the Penang Bridge. Take in the sights and smells of the local, tropical fruit bazaars with their exotic produce! 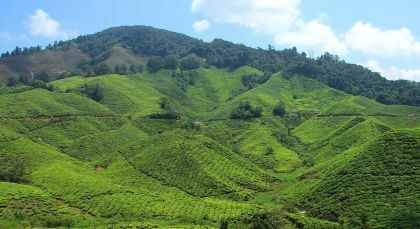 Breathe in the fresh air at the top of Penang Hill, Malaysia’s oldest hill station, and drink in the panoramic view of the country side around you at the end of your joy ride. (Full Day; Private Activity & Transfer; Time of Day: Morning; Duration: 8 hrs; Fitness level: Easy).